Disclaimer: I’m not a medical doctor or licensed professional. What follows is based on personal research and experience only. I suffered from postpartum depression after the birth of my second child. She is ten years old now. When people ask me how long my postpartum depression lasted for, it’s hard to answer. There was no start or end date. First signs of postpartum anxiety began right away and signs of depression peaked when my daughter was about two months old. But this is simply my experience and postpartum depression (PPD hereafter) affects mothers differently. There are medical and scientific definitions of PPD. Then there is the real life definition from first hand experiences of real moms. Over the years I’ve talked to many mothers who are suffering silently from PPD. 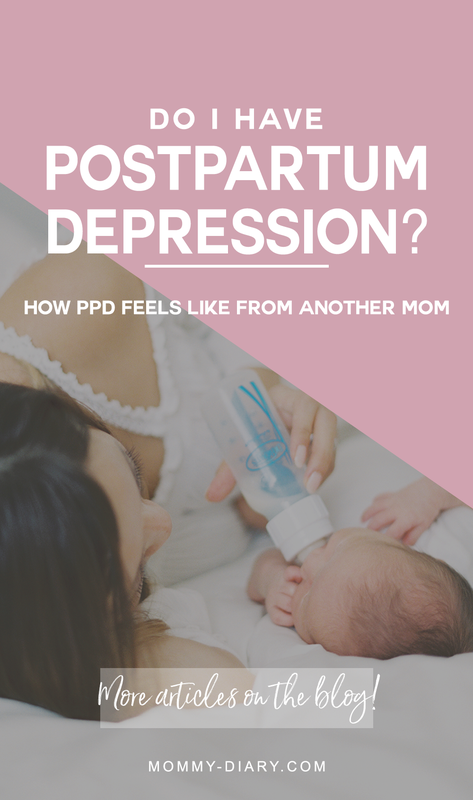 Once I began opening up about my experience, many of them chimed in, sharing with me how they felt and how difficult and isolating PPD was or still is. 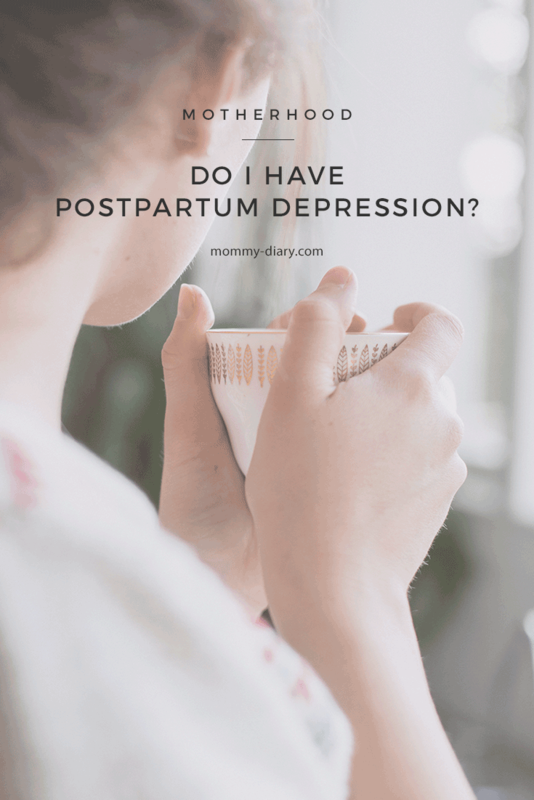 One question I get the most from other moms is “What does postpartum depression feel like?” This means despite the brochures given to us from the hospitals, many women are still confused about what postpartum depression generally looks like. I say “generally” because PPD looks different for every woman. But there are certain qualities about PPD that I want to share with other moms looking for real life stories. There are too many women suffering from this very real and debilitating disorder and I want to do my part to help. However, please note that I’m not a medical professional and is unable to officially diagnose PPD. If you find yourself feeling many of the following symptoms, I would suggest you go see a medical professional. If your OB doesn’t seem to understand, go seek a psychologist who is trained in postpartum depression. If talk therapy doesn’t seem to help, go seek a psychiatrist. Sometimes you may have to resort to medication like I did. You feel overwhelmed. For me, this was the biggest indicator. You feel so overwhelmed that you don’t want your partner to go to work and would love for someone to stay with you at all times. You feel incapable of being a mother without help. You feel you’re unfit to be a mother. Due to feeling overwhelmed, you feel you are unfit to be a mother. You question your ability and readiness to be a mother. You feel guilty. You begin experiencing feelings of guilt like something is wrong with you. You feel guilty that you’re feeling this way, and wonder if you baby can tell that you are feeling this way. You feel empty and numb. You are just going through the motions without feeling joy or fulfillment. You can’t feel much. Somedays you feel too much, some days you feel nothing. You feel resentful or angry. You may feel resentful that your husband’s life is the same while yours has changed overnight. You may feel angry that others don’t understand what you’re feeling. You feel impatient and short tempered. Sometimes you feel out-of-control rage. You feel hopeless. You can’t find joy or hope in motherhood. Everything feels hopeless. You feel “off.” You don’t understand why. Something just feels “off.” You don’t feel like yourself. You may have frequent headaches. You want to cry, sometimes for hours and days. Everything feels sad and hopeless. You cry alone, in secret, in front of others. You can’t eat or you eat too much. You lose your appetite and stop nourishing your body with food. Or you find yourself eating too much when you know you shouldn’t be. You can’t sleep. They say you should sleep when the baby sleeps but you can’t fall asleep. You’re tired and in a fog, but sleep doesn’t come easily. You can’t focus. You are forgetful and you can’t concentrate or focus. You feel “out of it” all the time. You feel like there’s a cloud over your head. This cloud seems to be following you everywhere and you can’t snap out of it. You feel like an outsider looking in. The rest of the world including your husband seems okay, but you feel like you’re living in another world. You feel disconnected from others and yourself. You fantasize about disappearing or running away. You know the baby needs you but you can’t help but to want to disappear or run away. Then you wonder what’s wrong with you, why you can’t just take care of your baby like everyone else. Guilt, shame and hopelessness continue. You feel like you’re unfit to be a mother. You wonder why you can’t handle your baby like everyone else. You begin to question your ability to be a mother. You feel disconnected from your baby. You don’t feel the bliss and intense love that other moms describe. You love your baby but don’t feel it strongly. You wonder if your feelings are normal. You worry too much. You find yourself worrying too much about every little thing and know this isn’t your usual self. You may have thoughts or visions of something bad happening to you or the baby. You fantasize about harming yourself or the baby. If these thoughts ever cross your mind, seek help immediately. These thoughts are not normal and is a clear indicator that you’re experiencing hormonal, chemical and emotional imbalance. Please don’t take the wait and see approach. Reach out to someone you trust. If you experienced any of the symptoms above, you may be experiencing postpartum depression. Like many disorders, PPD falls on a spectrum and every mother experiences it differently. If you are experiencing some or most of them, please speak to someone and seek help. You can also email me if you’d like to talk to someone. Don’t wait mama. You need to take care of yourself for you and your baby. This isn’t your fault and you have no reason to feel guilt or shame. You really cannot help or control this disorder. In fact, it affects millions of women worldwide. Studies say 1 out of 5, I personally believe PPD is much more common than we think. And don’t think this is the end of the world because I survived it and went on to have another beautiful baby. Today I’m almost 6 months postpartum and free from PPD. You can read more about PPD anniversary here. You will recover eventually. But for now, please seek help. If you found this post informative please pin the photo below. It helps other mothers find this post for help and information. Thank you for spreading awareness about postpartum depression. thank you so much for sharing this and talking about it. PPD often goes overlooked and there aren’t enough conversations about it! This was such a good read. As a new momma to my baby girl, and semi seasoned momma to my sweet toddler having a list like this could have been helpful. Thankfully so far I’m doing good!! Love this share, and bringing awareness to such a serious issue! Yes I feel very passionate about this issue because so many of us suffer from it. Thank you for reading! Thank you for sharing your experience with us so openly. So many of us deal with iit but I feel like it’s. It talked about freely. Thank you again ! Thank you for reading Heydy. Yes I believe we should talk about it more freely, it can help new mothers not feel so alone!